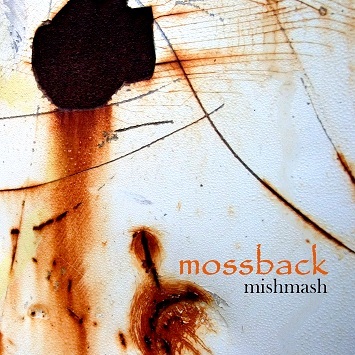 Mossback was formed in 1994 by Brennan McFeely and Paul Adams. A chance meeting at The Keg in the U-district brought lead guitarist Curt Hamblet aboard and the lineup began to solidify. Through ads in the Rocket Layne Bouche and Sandy Greenbaum were brought in on bass and drums respectively. And so began a ten year odyssey. Mossback played many local venues in and around the Seattle area. They began plying their spare money into recording, working with top notch producers Kevin Suggs, Gary King and Scott Ross to develop their unique sound. “Mishmash” is the culmination of a decade of writing and recording and contains a wide variety of musical genres and styles. There’s something here for everybody. For those who like hard rock check out “On Your Own” and “Sanity”…For those preferring a softer sound there’s “Cold Wind” and “Annalisa”. Grunge rockers will like “Junkie Town” and “Nothin Left To Give”. And for the politically conscious check out “Cloak of No Consequence”, a song about the Tibetan struggle with genuine Tibetans’ chanting and singing backgrounds. Enjoy.